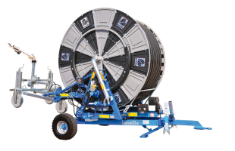 We offer premium irrigation equipment for the professionals aiming perfect irrigation and produdly present CASELLA hard hose reel travelling irrigators to our highly valuable farmers. 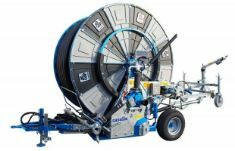 CASELLA is the world leader in the production of latest technology hose reel irrigators with engine or turbine rewinding, hose reels with integrated motorpump, hose reels driven by satellite/drone maps, motorpumps for water irrigation or slurry/manure distribution, pumps for water irrigation and slurry/manure, underground pipe lines for slurry/manure/sewage/Biogas products distribution with ripper. First-class performance and efficiency, advanced technology, a wide choice of products suitable for every possible need and reliability ensured by the high quality of CASELLA machines are the result of a highly motivated and committed company. Since 1954, Casella strives to manufacture the most innovative and quality irrigation equipment to serve the needs of the agricultural industry in Italy as well as in the international markets. Farming is hard work and you deserve to use the best equipment to maximise your profitability.